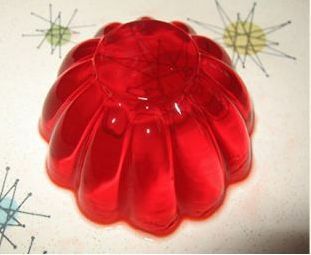 Check out free passes to visit the Jell-O Museum (two passes are available). Woodward Memorial Library cardholders in good standing are eligible for passes. Cardholder must be 18 years of age or older. Passes are loaned for a 2-day period. No renewals are allowed. Passes must be returned in person to the circulation desk by closing time on the day the pass is due. Please do not return passes in the book drop! A fine of $1.00 per day will be charged for overdue passes. Maximum fine is $10.00. Reservations will not be taken on passes, but patrons may call ahead to ask that an available pass be held for one hour. If a pass is lost or stolen while checked out on your card, the replacement cost to you is $10.00. Admission is normally $4.00 for adults; $1.50 for children 6 to 11; 5 and under are free. 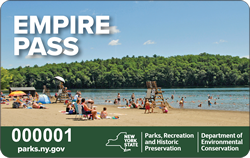 Check out a NYS Empire Pass and gain admittance into NYS Parks and DEC facilites across the state. The Woodward Memorial Library (WML) has two Empire Passes in circulation. Borrowers must be at least 18 years old and have a valid Nioga Library card. Passes must be checked out at and returned to WML. Passes must be returned inside to the circulation desk. Passes cannot be returned in the book drop and cannot be returned to other libraries in the Nioga system. Passes may not be put on hold. Pass may be checked out for 7 days and cannot be renewed. $1.00 fine will be issued for each day the Pass is late. If a Pass is lost or damaged there is a $40 replacement fee. Pass must be in the building for 24 hours before that same patron/family can check it out again. One pass per person/family at a time. Ask for the Empire Pass at the circulation desk on the main floor of the Library. Check out the Empire Pass just like you would any other item at the Library. Use the pass for entry into hundreds of parks in the state. Show pass at park gate for admission.